The Valspar Championship is back in Tampa Bay at the Innisbrook Resort’s Copperhead Course March 6-12, 2017! 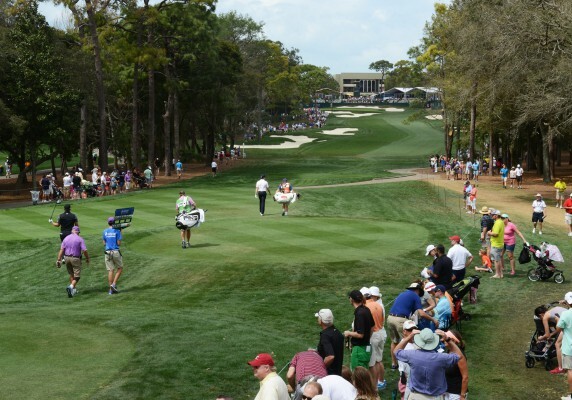 Tampa Bay’s PGA TOUR event, will be held March 6-12 on the Copperhead Course at Innisbrook, a Salamander Golf & Spa Resort, in Palm Harbor, Florida. Charl Schwartzel is the defending champion of the tournament which is part of the annual FedExCup competion. The tournament will be nationally televised by NBC Sports and Golf Channel. Part of the PGA TOUR’s FedExCup, this tournament is well attended by many top golfers and enjoyed by all! It all kicks off on March 5th at 4pm, with HSN Cares Par4Miler to benefit Moffitt Cancer Center. The perfect kickoff to Tampa Bay’s PGA TOUR event week for all fans is the Par4Miler. Fans can run or walk our four-mile course through the scenic tournament Copperhead course at Innisbrook to an upscale 18th hole recovery party where you will collect your voucher for a gallon of Valspar paint. Registration is still open here. Kids 15 and under are admitted free with paid adult. Tickets for the tournament are available at Publix and there are so many packages available! Depending on your love of the game and how many days you’ll like to be in attendance, visit the website to first learn of the options! 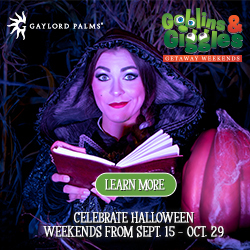 And with kids 15 and under free with a paid adult, this is a great event for the whole family! Our kids love golf, and this is a perfect way to open them up to the game! Parking is not included and MUST be purchased additionaly and prior to arrival. Pro Tip: Parking Hint – Get 5 people in your vehicle (Thur-Sun) and go to Silver Lot. Say “Eco Parking” and park for free. And food! In addition to the standard concessions, there will be three specialty food areas and a NEW venue offering wine and liquors plus a cooking demonstration too! Frenchy’s Pool Party (Frenchy’s Clearwarer Beach Restaurant) will be on the Pool Deck near the clubhouse. Earl of Sandwich will be located by the 16th tee. The new wine and spirits venue, Grape & Grain, will be open to all patrons located between the 9th and 10th holes of the Copperhead Course. Featuring both a delightful outdoor deck and air-conditioned interior seating, Grape & Grain features for purchase the offerings of William Hill Wines, Blue Chair Bay Rum, Crown Royal, Johnnie Walker, Bulleit Bourbon, Gordon’s Gin, Pelligroso Tequila and other fine spirits. New in 2017, you must pre-pay for parking here. This will help with congestion as there has been in years past. Parking Hint – Get 5 people in your vehicle (Thur-Sun) and go to Silver Lot. Say “Eco Parking” and park for free. According to the website, parking passes must be pre-purchased for Thursday, Friday, Saturday and Sunday! Patrons may purchase Tuesday & Wednesday parking when arrive on-site. These are are some of my favorite days to attend any golf tournament! There’s always alot going on as you get closer to naming the champion of the tournament! Saturday, March 11th will surly be a busy day for the tournament! 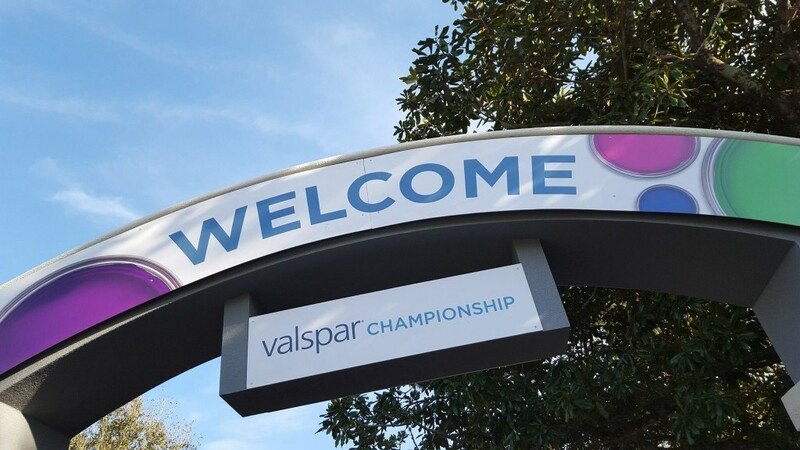 In its third year, the Valspar Championship is hosting a concert within the tournament! The Valspar LIVE! Concert will be after play on SATURDAY, March 11th on the Osprey Driving Range. You will need a Saturday ticket or a Good Any One Day ticket for admittance, there is no special concert ticket. Concert will consist of lawn seating. You may bring your own PGA TOUR approved chair or a blanket (see security guidelines). There will also be rental chairs available. Or you can purchase a front section seating area Ultimate Concert Pass. Please make sure to visit the spectator guidlines that you will want to be aware of before you head out! There are a list of approved bags and strict guidelines about cell phones, videotaping, etc. Please make sure to know what you can and can’t bring or else you’ll be walking all the way back to your car! 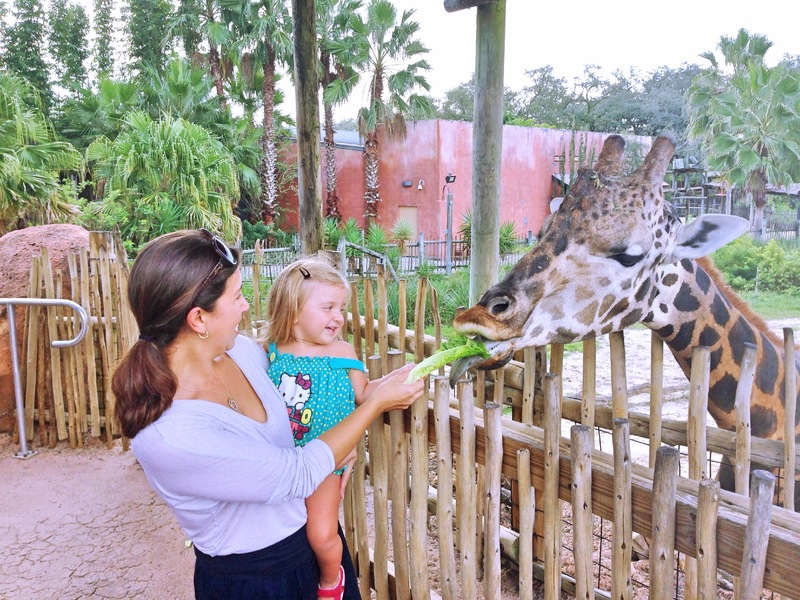 I hope this guide helps you navigate a super fun event here in the Tampa Bay area! We love that this PGA Tournament is part of Tampa Bay and I hope you enjoy the weekend! Have fun!